The “Is training worth it?” debate is over for collision repair, according to I-CAR CEO John Van Alsytne, who has declared victory with the release of a white paper showing returns on education investment. The document, released in May, sums up three studies from 2012, 2013 and the first quarter of 2015 to prove that Gold Class shops repaired cars quicker and in general performed better than peers, and technicians within a shop cut cycle times and supplements after filling in knowledge gaps with I-CAR classes. “As far as I’m concerned, I think we have proven the point,” Van Alstyne said Friday. When he took over as CEO five years ago of the auto body education center, “we had zero data that supported any business benefit … about training,” according to Van Alstyne. “I-CAR’s worked hard to generate that data, and here it is,” he said. The organization will continue to look for other case studies to share, but at this point, it’ll devote even more focus to its training offerings themselves instead of actively developing the argument for them, according to Van Alstyne. “Can we stop arguing about no ROI? .. The data says there is ROIs. You just need to figure out how to take advantage of it,” he said. Repairer Driven News in May covered the most recent findings from I-CAR’s white paper back when they released data showing a correlation between I-CAR Gold Class status and length of collision rentals from Enterprise Rent-A-Car. That research found that I-CAR Gold Class shops on average knocked more than 24 hours off the average rental time, cutting it to 10.2 days from the industry average of 11.5 days from January through March. For the top 500 and 100 Gold Class shops, that time dropped to 7.9 days and 6.5 days, respectively. Find out more about the general Enterprise study here. Other research cited in the white paper found Gold Class shops exceeded the industry when speed was aggregated with other KPI factors into a single overall score. 2013 CynCast research ranked 18,000 collision repair businesses with a Shop Performance Value Rating generated from estimate accuracy, repair speed, difficulty of repair jobs, promotion — would you recommend your own shop? — management systems and Gold Class status. The study gave shops a means to compare themselves to others in their area, but it also allowed I-CAR to see how its graduates fared against the rest of the industry. 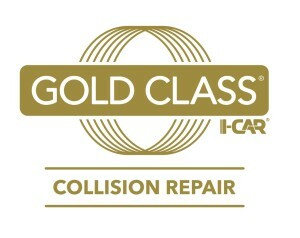 Gold Class shops (which admittedly had the deck stacked in their favor with the I-CAR designation being a scoring factor) came in at 405, while the average non-Gold Class scored 268. “Gold Class organizations outperformed their marketplace by a full 51 percent—and they continue to improve,” I-CAR wrote in the white paper. Finally, a 2012 I-CAR study of 30 shops assessed how much technicians knew and then taught them anything they were lacking. The organization tracked key performance indicators before, during and after the crash course and found “unmistakable” improvements. Cycle times improved 14.35 percent and touch time by 33.75 percent, supplemental additions to the estimates fell 11 percent and customer satisfaction increased 5 percent. “Improvements were even greater than the averages in those shops that approach training strategically, or those shops that possess a ‘Learning Culture,'” I-CAR wrote.